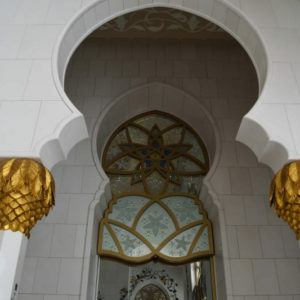 1.9 Conclusion: Is it Worth Visiting Sheikh Zayed Mosque? 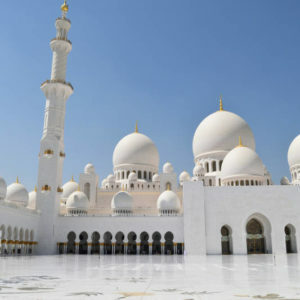 hen you plan a trip to the United Arab Emirates make sure to visit the Sheikh Zayed Mosque – either as a day trip from Dubai or when you plan to stay in Abu Dhabi. 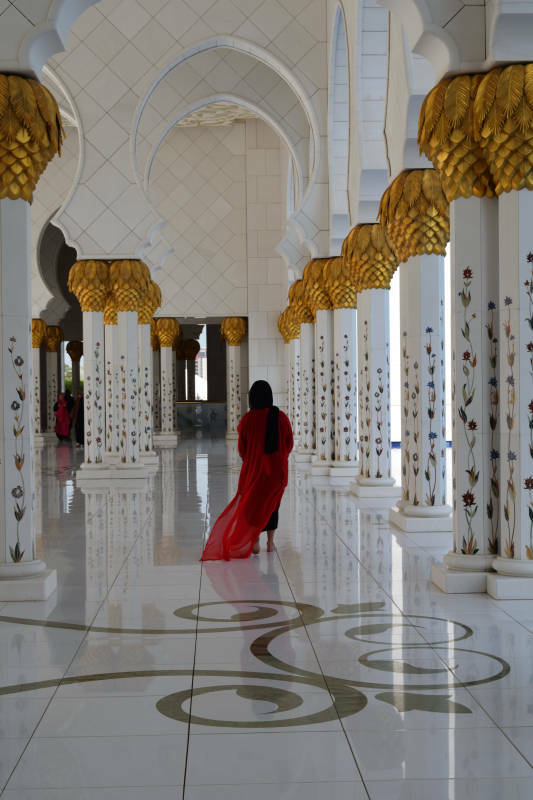 The Grand Mosque or the Sheikh Zayed Mosque in the UAE is probably the most beautiful building I have ever seen. Seriously, no words can describe its beauty. 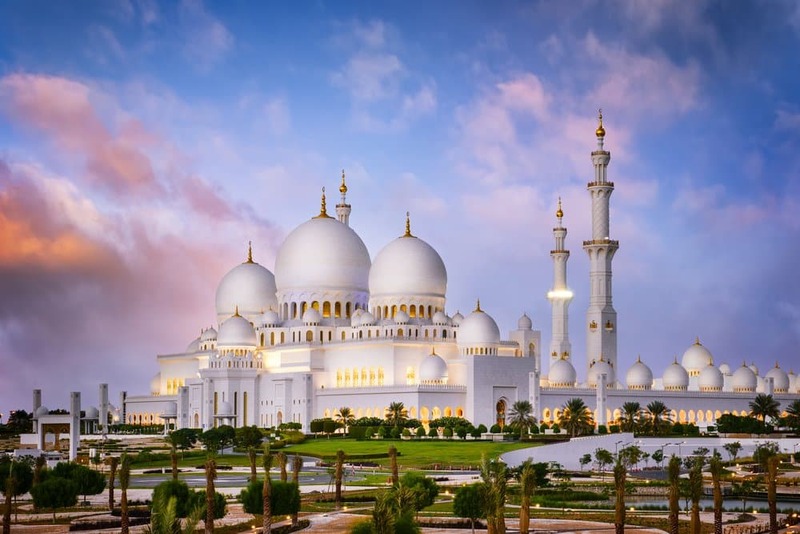 I had friends asking me if I visited that beautiful mosque in Dubai or Abu Dhabi yet – it seems social media has spread the word about the beautiful mosque in UAE, though many cannot remember the name or mistakenly think it is in Dubai. 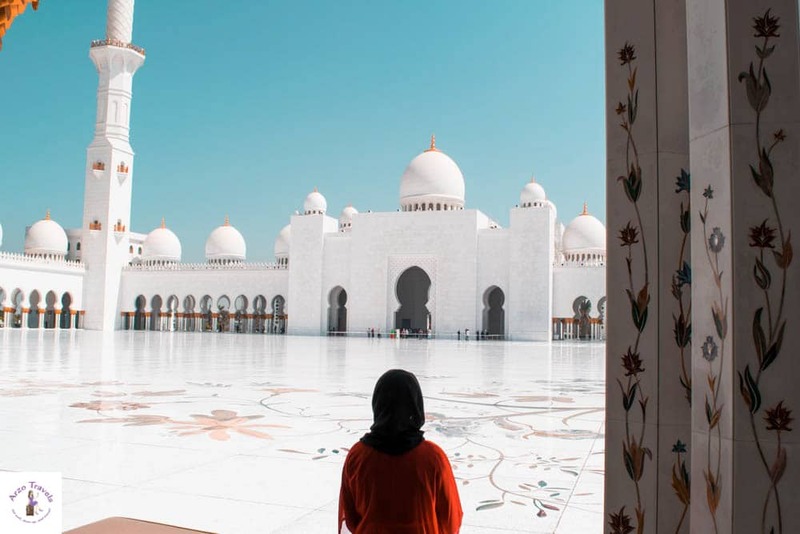 Though the pictures have not captivated the beauty, I hope you´ll get some travel inspirations and consider visiting it – as a Muslim or non-Muslim, since the Sheikh Zayed Mosque is also open to non-Muslims. 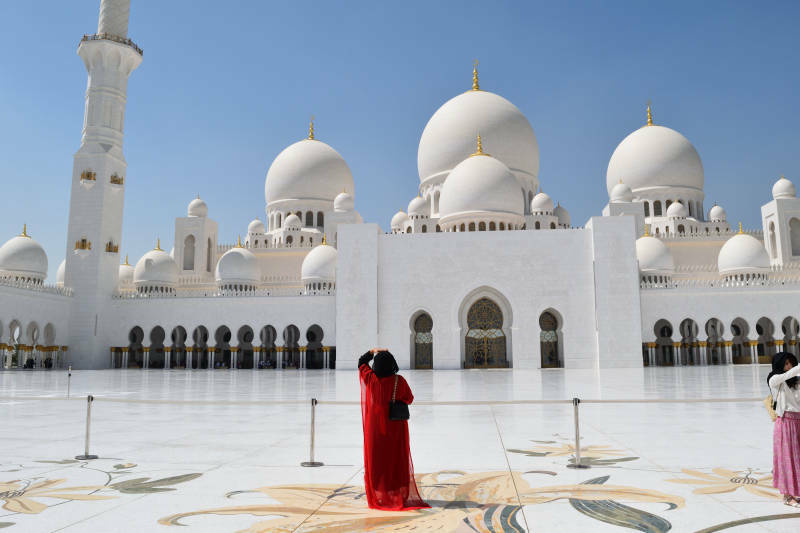 Find out all the important things you need to know before you visit the Grand Mosque in Abu Dhabi. 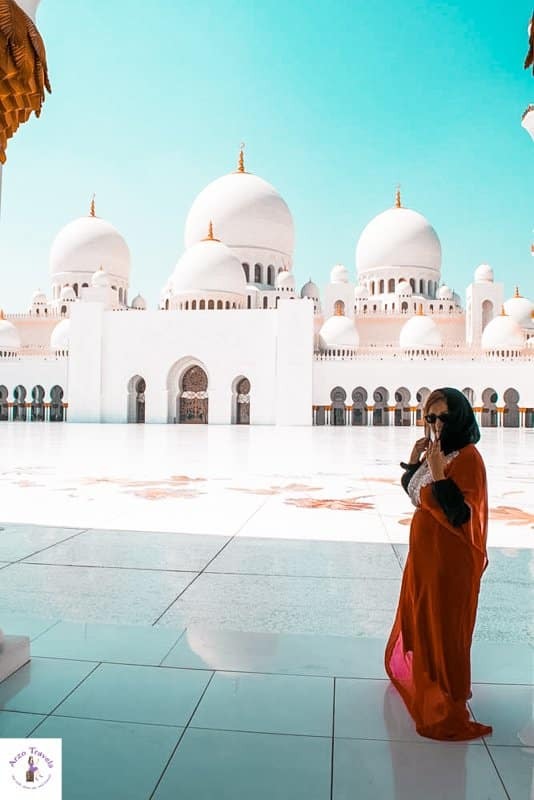 Visiting the mosque was one of the first things I did when I arrived in Abu Dhabi and I was happy that the mosque did not disappoint at all. 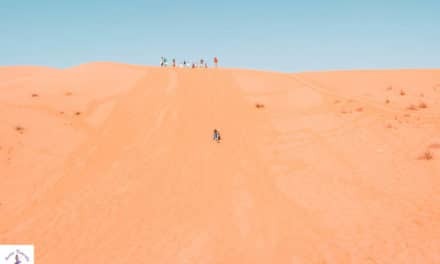 If you visit Abu Dhabi, this “attraction” should definitely be on your list. The Grand Mosque can accommodate more than 40,000 worshippers, 10,000 in the internal areas and 30,000 in the external areas. and opened in 2007. It is now probably one of the most famous Islamic prayer houses in the world. The mosque has four minarets and eighty-two domes. 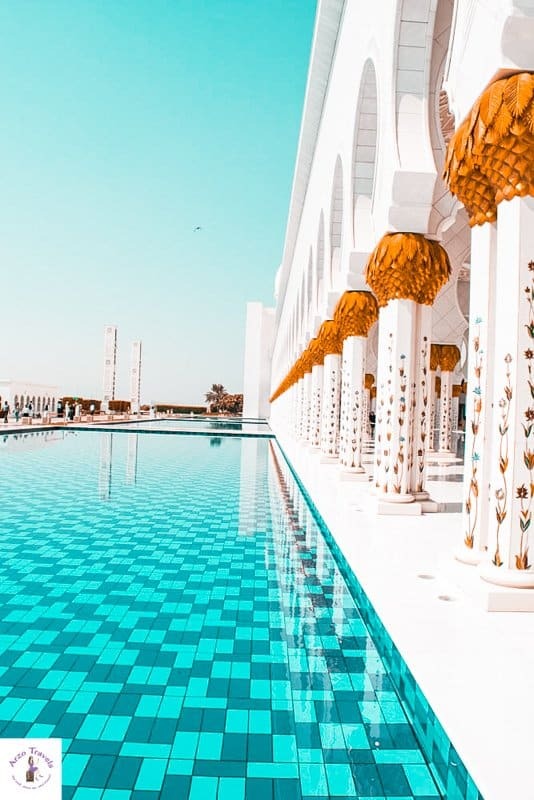 Besides the beautiful symmetry, the white marble and golden elements impress. I would have loved to get on one of the minarets but this was not allowed to normal guests. 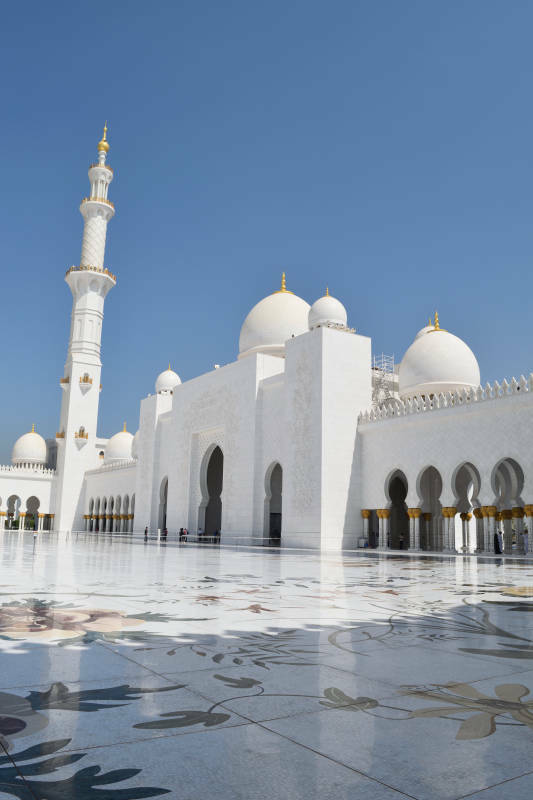 There are several guided Grand Mosque tours without any extra costs. Unfortunately, these guides are not every hour and I just missed one. 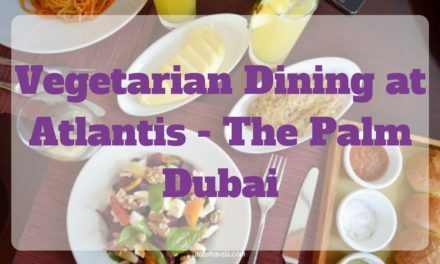 Read More: Sharjah – the less known emirate is another great place to visit in the UAE. 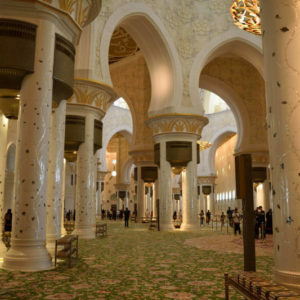 The mosque is located at “the beginning” of Abu Dhabi. If you come from the Abu Dhabi airport or from Dubai, it will be one of the first things you will see. There is a direct bus connection from Abu Dhabi Corniche, but the stop is quite far. It’s probably only 1 km away, but with the heat, it felt more like 5 km. A taxi from Abu Dhabi Corniche to the Grand Mosque is about 9-10€ (about 18km). There are buses going from Dubai to Abu Dhabi and it might be the cheapest way to get there (is about 100km from Dubai Marina to Grand Mosque). 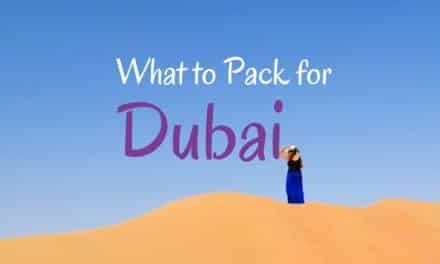 Another option to get from Dubai to Abu Dhabi is to buy a hop-on and hop-off ticket in Dubai since there are buses going to Abu Dhabi as well (a review of the hop-on and hop-off bus in Dubai is here). Taking a taxi might be another option since taxis are quite cheap in the United Arab Emirates. There are parking options at Sheikh Zayed in front of the mosque if you come in your own car. 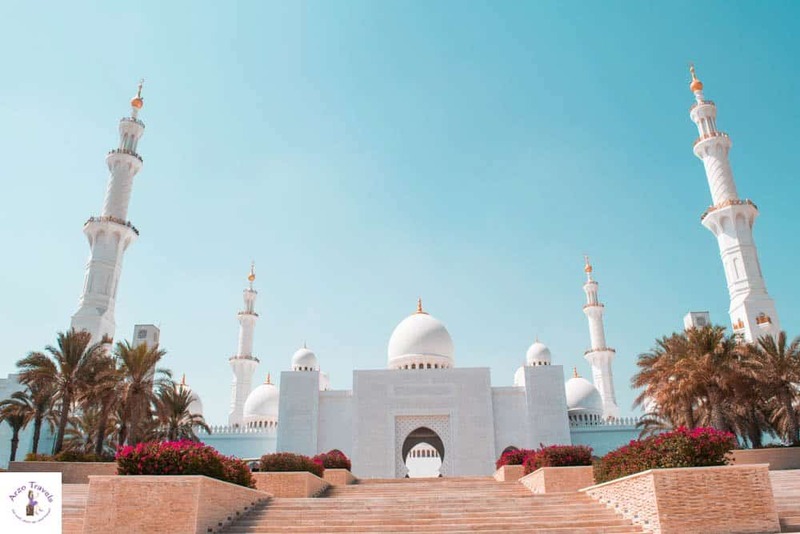 If you also have wondered which place is better, Abu Dhabi or Dubai, click here and find out which role the mosque plays in this question. You can enter the area in your normal clothes. If you want to enter the actual mosque, you have to cover yourself up, as a female. As a man, your arms and legs also have to be covered. You can get appropriate clothes for free (ironed and washed) and there are dressing rooms (the red dress in the pictures were my own outfit). Women and men are not allowed to touch each other. The guards also forbid me using my GoPro and its tripod to take pictures. You can wear your shoes and only have to take them off when you enter the prayer rooms. There are a lot of guards so you had better stick to the rules. Open daily, from 9 am to 10 pm, please check the visitor hours before your visit to make sure it is not closed for any reason. The mosque closes every Friday mornings to tourists (open only for worshippers) and re-opens in the afternoon. I visited in the morning and would have loved to see it at sunset as well. Most people I asked told me it looks even nice then. If you get the chance try to visit the mosque twice because I would not have wanted to miss the mosque at daytime. There is free drinking water. 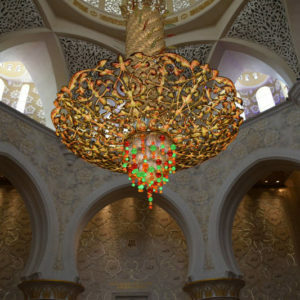 Conclusion: Is it Worth Visiting Sheikh Zayed Mosque? 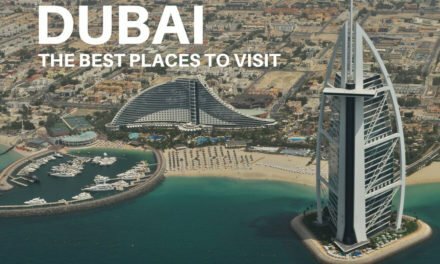 Where to stay in Abu Dhabi? Find my tips here. Disclaimer: This post contains affiliate links which means I will earn a small commission when you buy a product/service via my link (at no extra cost to you). More about it here.